Big Bear, CA, July 17th, 2016 – Do you enjoy learning about the natural world? Would you like to learn about the amazing and unique ecology of California? If so, consider becoming a California Naturalist! Southern California Mountains Foundation is proud to host a California Naturalist Volunteer Training at the Big Bear Discovery Center in Fawnskin, CA beginning September 16, 2016 and through November 4, 2016; every Friday from 9am to 12pm. Three Saturdays will be devoted to field trips with hours 9am to 4pm. California Naturalist volunteers complete a 40-hour hands-on course with expert instructors and fellow learners – studying natural history, environmental interpretation, and conservation stewardship. This class covers the natural and cultural history of California, with an in-depth look at local ecology. Through field trips, classroom instruction and hands-on exercises, participants will observe and learn about the variety of plant and animal communities of the local region. Through the course, participants will develop their ability to observe nature and will learn tools to improve these skills. In addition, participants will improve their communication skills by sharing knowledge with other participants and by working on a group project. The cost for the course is $250. 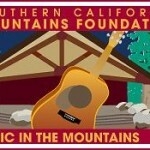 For more information and to register, visit MountainsFoundation.org. Visit calnat.ucanr.edu for more information on the UC California Naturalist program. Program contact is Megan Oberdoerster, youth and interpretative services coordinator, Southern California Mountains Foundation, at moberdoerster@mountainsfoundation.org or 909-382- 2842. 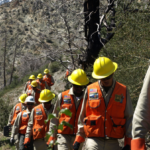 The California Naturalist is partnering with the nonprofit Southern California Mountains Foundation and the University of California Cooperative Extension to provide this study program.